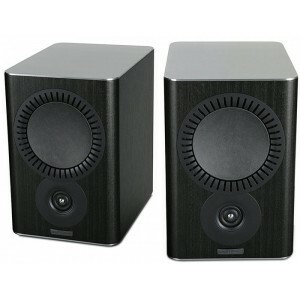 Award winning speakers, with better bass response than the smaller QX-1 in Mission's QX range. Excellent speakers in a choice of colours. 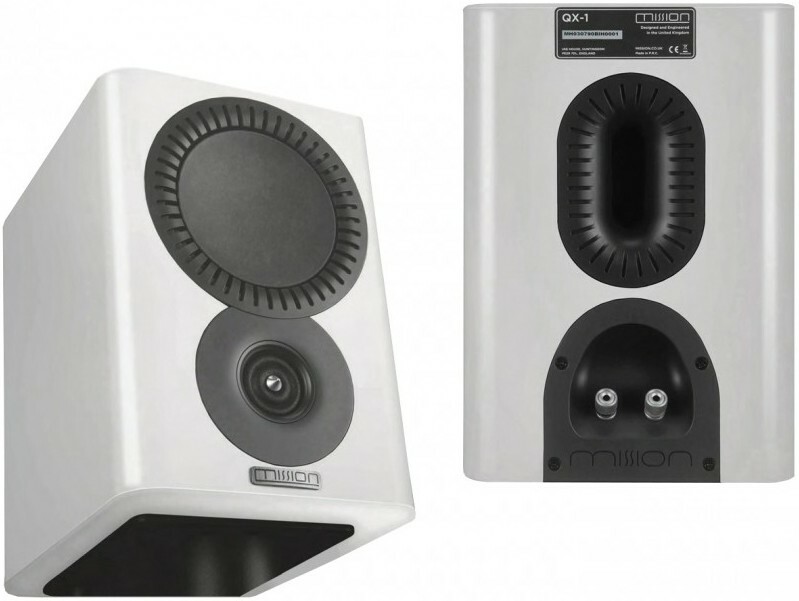 Mission QX-2 bookshelf speakers feature bass drivers that host Mission’s DiaDrive system, a seam-free curvilinear cone that has been conveyed from a mix of soft pup and acrylic fibre. This DiaDrive system has been especially designed to deliver lifelike midrange transparency and lucidity. Backing this curvilinear front cone is a robust, conical support that has an amplified area of contact with the voice coil to produce an exceptional transient effect. The drive unit surround and the fixing screws have all been smartly hidden behind a distinct comb-tooth trim – a design that presents the cabinet fascia with its signature “high-tech” look. The new ‘ring dome’ treble mechanism offers high levels of musical detail whilst keeping the distortion levels as low as possible, with the usual dome cavitation effects held at bay. The ‘ring dome’ then uses the woven, textile dual ring radiator that is fashioned in a double ring array. This blend of textile dome and multi ring surround helps achieve the ideal stiffness across the determined radiating area. Mission QX-2 has a twin rear cavity non-reflecting build to vent back force from the diaphragm into a twin rear cavity, decreasing any resonance and retaining a broad operating bandwidth. 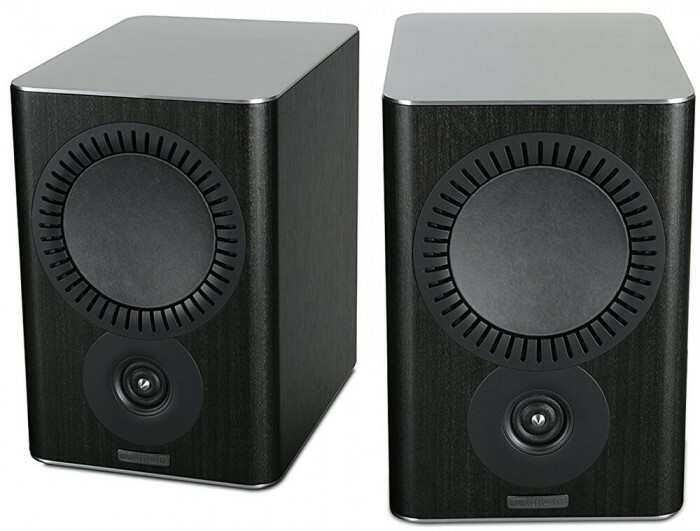 QX-2 speakers remain stylish whilst able to fit within any system but the design aspect has more than one condition. Aluminium top and base plates upgrade the quality of sound whilst giving a more modern sense; a ribbon-like design across the slot ports lends the speakers a high-tech appeal whilst boosting the airflow and preventing any chuffing from within the bass reflex ports for a low-frequency performance that attains lower levels of distortion; and the arc shaped cabinet corners employ a semi-circular shape to the corners of the speaker in order to smooth diffraction from the drive units, thus allowing them to yield better power distribution into the listening area. 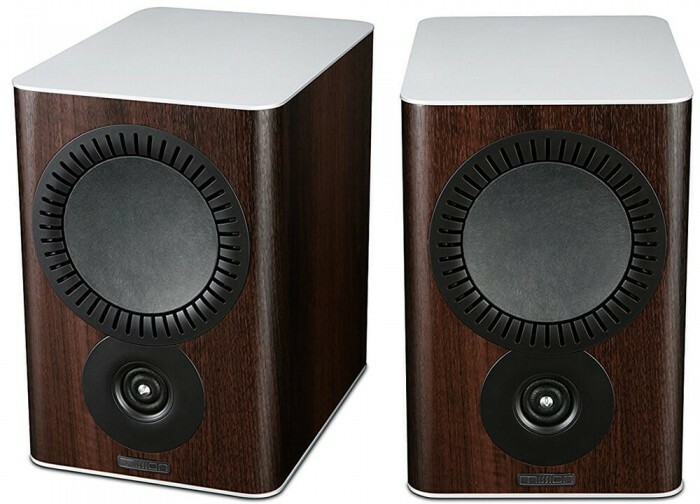 Mission QX-2 Bookshelf Speakers has been designed to marry advanced engineering with stylish and attractive aesthetics, allowing them to seamlessly integrate within any pre-existing system and match almost every type of home décor. The front panel of these speakers both hints at the advanced technology held within and present an attractive face to the listener. It utilises Mission’s Inverted Driver Geometry (IDG) driver format which positions the treble unit below the bass/midrange driver, equalising the length of the signal path and thus allowing the sound waves to coincide at head height for the listener. This driver design principle will improve time alignment and offer an overall better response when listening to music or watching movies. Mission brings its 40 years of audio expertise to this exciting new QX speaker range which offers many additional features making these speakers an excellent choice for all levels of hi-fi and home cinema integration. Advanced DiaDrive cone system features a front inverted dome cone which delivers smooth response, driven by secondary sub cone to transfer maximum transient impact from the motor system. 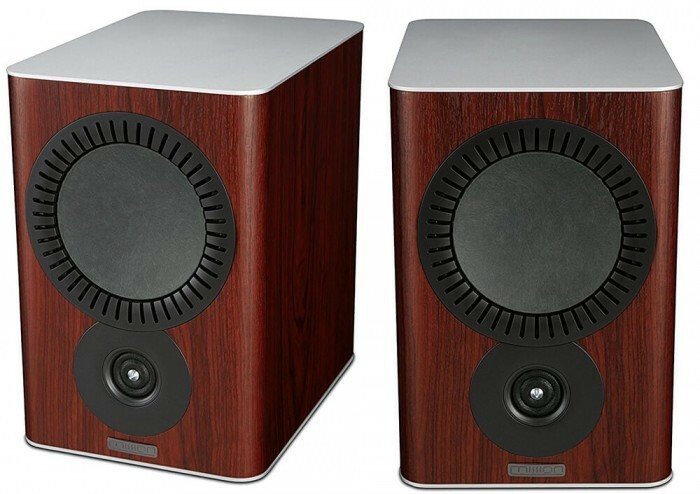 2 Add,i have seen Reviews of these Speakers,which do not do it the Justice it Deserves,i me using these with a Dennon Amp at the Moment,and they Sound Great,the Mids are spot on,right down 2 the Bass,above all the Sound stage is Immaculate! Where 2 start?only Words like Stunning,Amazing,they are all these things,if you can get a Demo,and i Guarantee if you buy these your Search,will be over you will not need 2 Buy Speakers 4 a long Time!